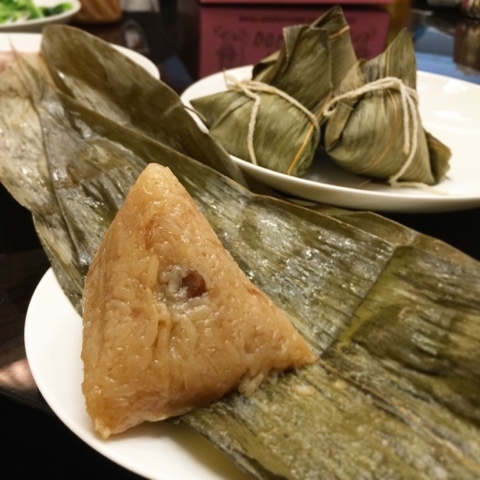 a hungry girl's guide to taipei: my kitchen: happy dragon boat festival! Happy dragon boat festival weekend. 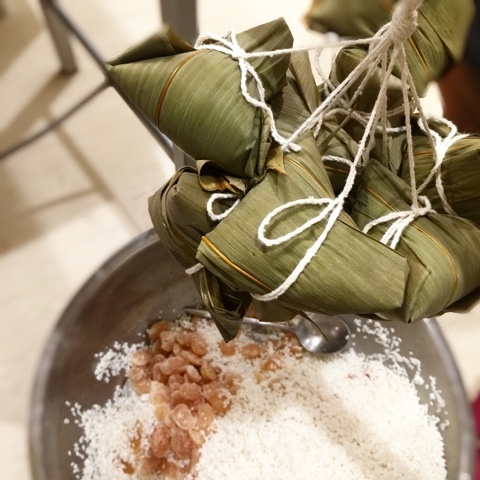 Tried my hand at helping wrap the sticky rice dumplings/ zong zi this year. Some tricks are to try to pick evenly sized leaves for wrapping, bend the leaves in half then pick a point three quarters of the way to twist into a cone like pocket for putting the rice, and pinching in the sides with your left hand before folding over the top flap to make a nice pointy pyramid shape.